Segway UK will be an exhibitor of the Farm Innovation event at Birmingham NEC on 8th and 9th November, together with hundreds of other exhibitors. 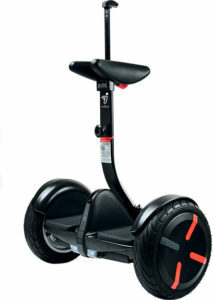 We will be demonstrating the popular X2 SE model from the Segway stable together with other business products. In addition, we will also be demonstrating the Ninebot Mini Pro, a smaller compact personal transporter based on the same Segway technology. You’ll find us at stand 684, come along and introduce yourself and book a demo!